Deborah Boschert's theme this month is one of my favorites. I love architecture! 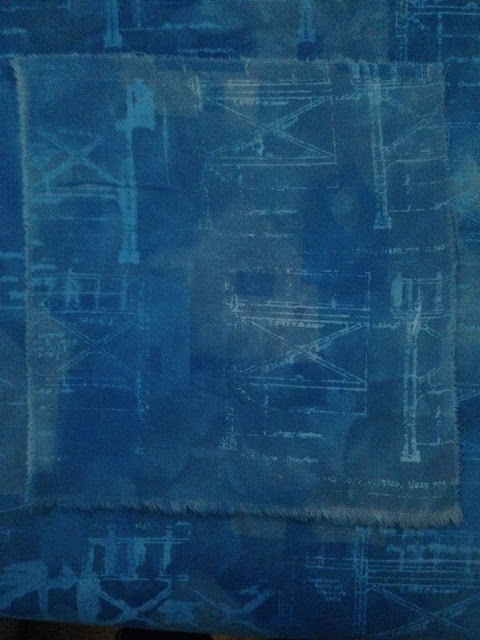 Deborah requested all blues and so I started with a blue grey hand dye, did a little sun printing with house masks from foam, thermofaxed some blue prints over the top, and stamped more houses. All of the painting was done with Setacolor Light. It might be a little difficult to see the layers in this photo, they are almost ghostly. I like what the other members have done so far. 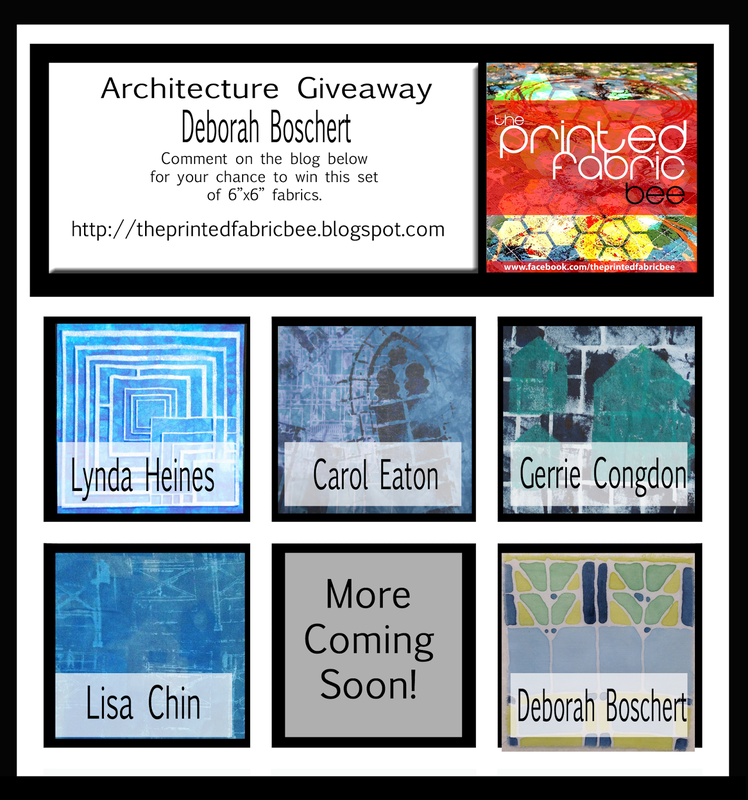 If you would like a chance to win all 12 of the 6x6" squares leave a comment on The Printed Fabric Bee's blog by clicking here. Visit the other member's of the Bee to see what they have created!